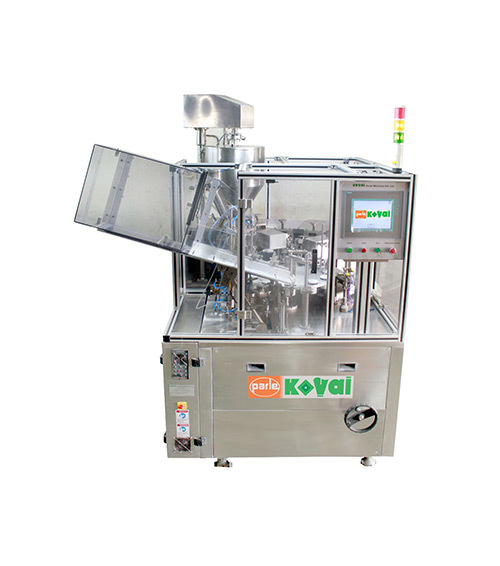 The PK 60 AL – A is the next generation of aluminum tube filling machines. It is very cost effective filler providing several features. The design of the machine is ergonomic, easy to handle and maintain for operators. It incorporates a full-size opening of the front guard with excellent access for maintenance and change-over and an improved tube orientation system that guarantees even better accuracy. The machine is mainly mechanical and therefore, easy to operate and maintain.